Can we start a petition to make a three day weekend a thing every weekend? I just get so much more done! Today is a working sort of day, where I am aiming to get lots of life stuff done. Exciting, I think not. Last bank holiday I did a post about easy bank holiday makeup here, and this time I am not planning on wearing a scrap of makeup. No, I am planning on having a bit of a pamper and just generally relaxing. I might even bake a cake later. Long live bank holiday Monday. Nails! By the end of the week my nails are not looking their best, and a manicure is desperately needed. 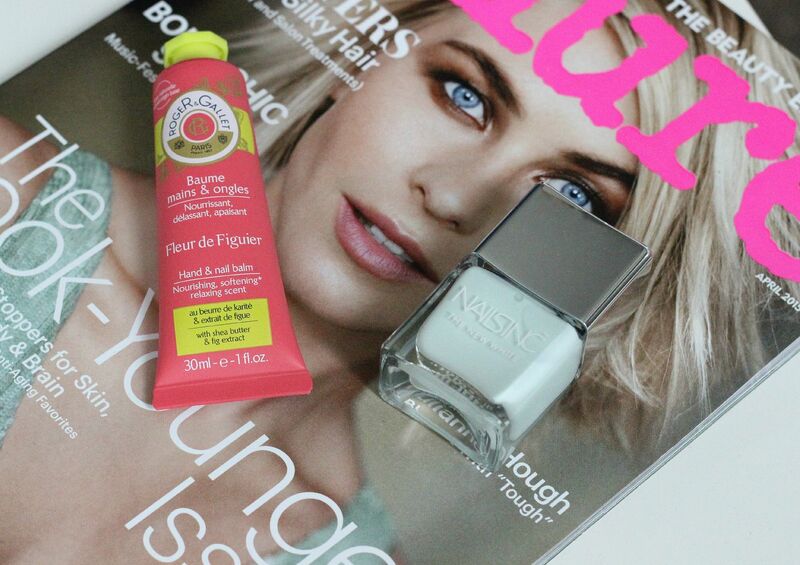 I picked up the new Nails Inc New White polish in Swan Street, and I can’t wait to use it – will report back. You can almost definitely never have too many pastel mint polishes, right? A handcream I have been dutifully applying twice a day is the Roger + Gallet hand cream in Fleur de Figuier because it smells so nice and doesn’t leave my hands sticky. Is there anything as delicious as a long hot shower? No, I didn’t think so. The Korres showergel in Santorini Vine smells like a holiday, basically, and makes me happy. 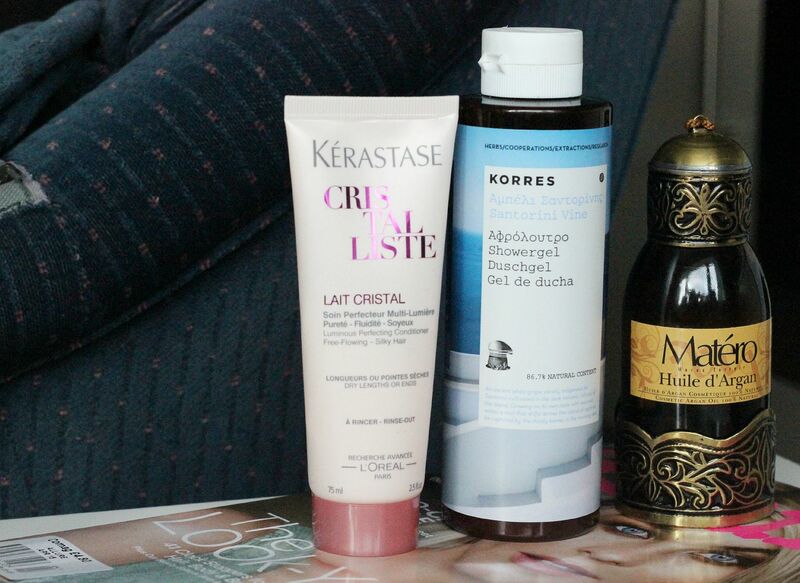 The Kerastase cristal liste conditioner leaves me hair looking a lot better and a lot silkier. After that, I have some argan oil that my Mum kindly brought me back from Morocco. Genuine Moroccan argan oil, I love. So oily. A pamper day isn’t a pamper day without a face mask, or two, obviously. The Ren Glycolactic radiance renewal mask is an old favourite, and one that definitely leaves my skin looking brighter and feeling softer. 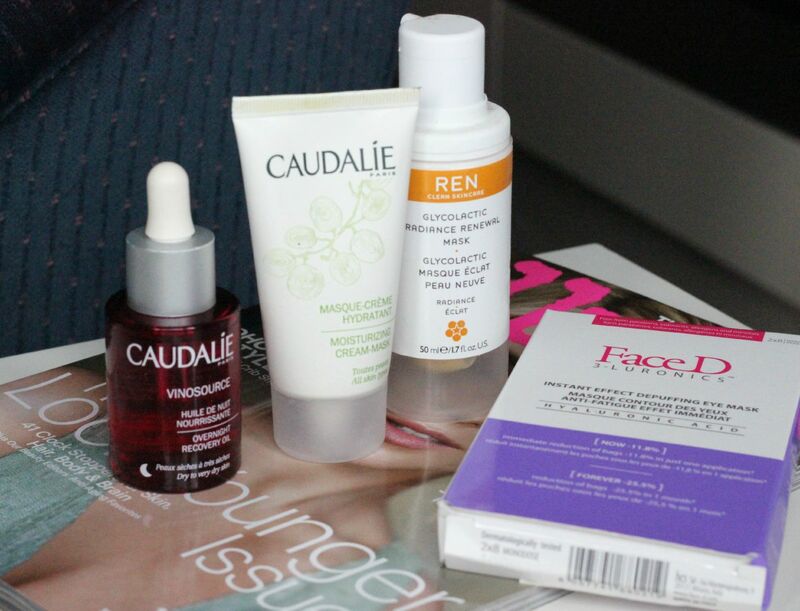 Followed by the Caudalie moisturising cream mask, which my skin drinks up. They’ve repackaged them but I think the formula is the same and really nice for dry skin. I was sent these FaceD 3-luronics under eye masks, available exclusively from LloydsPharmacy, which I am loving. I get itchy and sore eyes with hayfever (yay), so I always love cooling under eye products. These make my under eyes feel nice and refreshed. After washing off the face mask, a liberal amount of the Caudalie overnight recovery oil will be applied, and then maybe I will lie down on the sofa and ready my book for an hour? Sounds like a pretty dreamy second-Sunday.